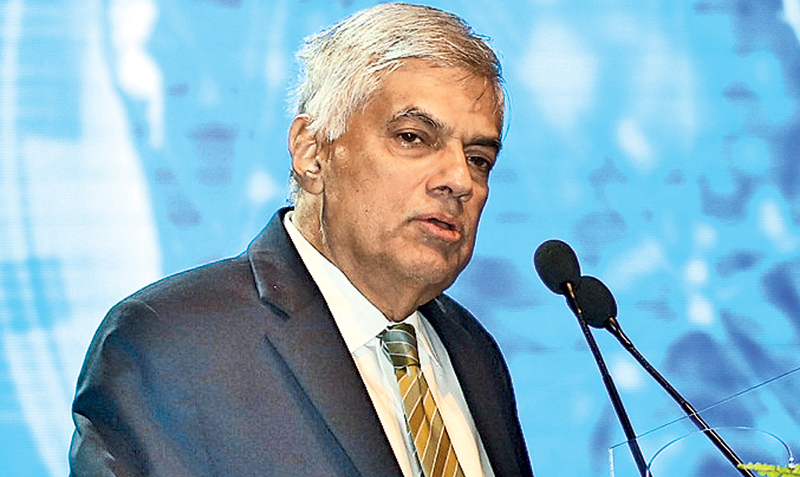 Prime Minister Ranil Wickremesinghe said he intends to discuss with the Parliamentary Public Finance Committee Chairman shortly, about the bond issuances from 2008 to 2014. He said it was surprising that the COPE Committee had approved Central Bank financial reports during that period. He said this in parliament yesterday during the special session convened yesterday to discuss the final report of the Presidential Commission of Inquiry (PCoI) into the Bond Issuance of the Central Bank of Sri Lanka during the period from February 1, 2015 to March 31, 2016, which was handed over to President Maithripala Sirisena on December 31, 2017. “The President stated that it was noted in the Presidential Commission report that an investigation was necessary to scrutinise the financial misappropriations of the Treasury bond issuances during 2008 to 2014. The Premier added that he had advised relevant officials to investigate these embezzlements expeditiously and take measures to punish the perpetrators. “The majority of the bond issuances from 2008 to 2014 were done as direct private placements.There was absolutely no transparency. During this period bonds to the tune of Rs. 5,147,751,210,000 had been issued while of this amount bonds to the tune of Rs.4,702,232,210,000 had been issued as direct private placements. None of these transactions had received the approval of the Monetary Board. The President made a special statement on January 3. Today I want to clarify further the Committee on Public Enterprises report or the (COPE) report.The initial dialogue on the Treasury bond issue was initiated in March 2015. As soon as I was informed about this, I appointed a three member committee comprising Attorney Gamini Pitipana. On March 31, 2015, I informed this council. The Pitipana Committee investigated this issue and reported to me.This commission recommended that further investigations were required. This report was tabled in parliament on May 19, 2015. On May 21,2015 we debated this issue in parliament and later it was submitted to COPE. Meanwhile, on October 31, 2016, this report and the special Audit report presented to the COPE Committee by the Auditor General were both forwarded to the Attorney General by me through the Speaker’s Secretary. Subsequently, through the Prime Minister’s Secretary, I sought the advice of the Attorney General on whether the Central Bank Officers had committed some fraudulent activity and acted beyond their delegated responsibilities, if the Central Bank Governor Arjun Mahendran should be held responsible, and if so what the legal measures are that could be taken against them, based on the recommendations of the COPE Committee. In addition, I inquired in writing from the International Monetary Fund and the World Bank on the Treasury bond issuance mechanism and of the losses incurred by the Central Bank bond issuance. However, they notified me that they were not aware of an internationally accepted mechanism to determine a previously issued bond auction loss.They said the losses or gains are determined by the market factors on the particular day that the bond auction was held. I have tabled a copy of the letter sent by the World Bank Sri Lanka Director on December 7, 2016. Since March 2015, our government has taken appropriate measures regarding this issue. All details have been submitted to Parliament, COPE Committee and the Attorney General’s Office. In addition the President appointed a special commission, which uncovered further details. Now the report has been submitted to the Attorney General. Meanwhile, on November 7, 2016 the Monetary Board issued an order limiting the operations of Perpetual Treasures Pvt. Ltd and prevented the company’s funds from being taken out. On July 06, 2017, all their business activities were banned. On January 05, 2018 the ban on Perpetual Treasuries was further extended by six months. Accordingly, Rs. 12 billion of Perpetual Treasuries is being held in the custody of the Central Bank. According to the Presidential Commission report, the loss inflicted on the Central Bank in this transaction is Rs. 11 billion. Now what remains to be done is for the Attorney General to initiate the required legal action in order to recover the losses caused to the government through this transaction. Through this the government too could recover any losses incurred. This is the first time in Sri Lanka’s history that such an investigation was carried out in a fair, unbiased and expeditious manner. This is a very complex investigation process. This is a special victory for the government we established on January 8, 2015. We were able to once again bring the country’s financial control under the supervision of the parliament, after ten years. During the past, parliament was unaware of any such transactions. To say the least, not even the relevant ministers nor responsible officers were aware of certain transactions. But, fortunately we were able to change that situation. The President further stated that it was noted in the Presidential Commission report that an investigation was necessary to scrutinise the financial misappropriations of the Treasury bond issuances during 2008 to 2014. I have adviced the relevant units to investigate these embezzlements expeditiously and take measures to punish the perpetrators. The majority of the bond issuances during the period 2008 to 2014 were done as direct private placements. There was absolutely no transparency. During this period bonds to the tune of Rs. 5,147,751,210,000 had been issued while of this amount bonds to the tune of Rs. 4,702,232,210,000 had been issued as direct private placements. None of these transactions had received the approval of the Monetary Board. We continuously worked towards strengthening the financial control of the parliament. We have constantly reported to parliament on the country’s financial status. Following that same policy, I reported all matters to parliament. Today the Treasury bond issue has become a political issue. This bond issue has become a fine goldmine for the various media, political parties and mudslinging factories. Some claim that due to the Treasury bond issue the country’s interest rates had increased, while others claim that the dollar rate had gone up. But let’s not get mislead by all these mudslinging campaigns and seek the truth. By uncovering the truth let’s take the appropriate measures. As I have reiterated, the President and I are committed to establishing a new political culture in this country. This is a new experience that is complex and hard for those parties who attack each other in political vengeance, to fathom. As the experience is unfamiliar, there could be inadequacies and wrongs that occur, but we must correct them and move forward. However, no matter what, we are not prepared to sweep everything under the carpet and trample the rule of law, as the previous regime did. We are not prepared to bury social equality. On January 8 we inherited a country that was caught up in a debt trap. A country that had no law and was engulfed in corruption and fraud. A country kept in fear over state terrorism. President Maithripala Sirisena, myself and our government have steered the country on a different path.That path is arduous and treacherous. But we are committed to establish a just and democratic country evading all potholes and booby-traps obstructing our path. Will the Finance Minister of the time Hon. MR make a statement in Parliament in this regard without any further delay, so as to enable the COPE to go investigate in detail and find the culprits immediately ? Or will Hon. MR dodge the situation being silent or make a political speech to cover his regime ? The numbers are so huge that I needed to check the definition of the sums quoted. Based on the current definition the sums are in Trillions, say if the average losses due to pilfering is 2% of the total, then the losses in money terms are 353mil British ponds. Which means that their are many corrupt individuals in our leader ship cross party from central government to local level and in business in order to launder the money. The latter include those who pilfer and those who receives, a chain. Unfortunately we will need to let the murderers , terrorists, Rapists and burglars out of prisons to accommodate the corrupt. Perhaps a better idea is to line them up and shoot them once we find the guilty parties or give them chance at Russian roulette put it on TV for public entertainment but keep the exiting inmates in prison. We need to be very angry as Sri Lanka's population is 28millian we have possible losses of 353 mill. GBP, so those who can divide one by the other how much would one Sri Lankan owe. We must have many quiet millionaires in Sri Lanka and a hell of a lot poor people to carry them. Thank you for the probe its never too late, now finish the process, provide physical protection to the president , the risks are the underworld the deserters of our armed forces and the supporters of the guilty parties. We need to ensure that their is no chance of the reports being diluted or edited which means the originals have to taken to protective custody ASAP. Bonds from 2008 to 2014. Triying to distract the people, why did they wait till now to probe they could have done this ar the very beginning of 2015. This is to cover up their bank robbery, people are not fools. Damayanthi, U R VERY CORRECT!!! THESE ROBBERS WAITED ALL THESE TIME TO INVESTIGATE PREVIOUS Govt.,BONDS AS PRESIDENT,PM DOWNWARDS ARE ALL CAUGHT NOW!! !